Fertiliser for the cultivation of growing plants on hydro systems. 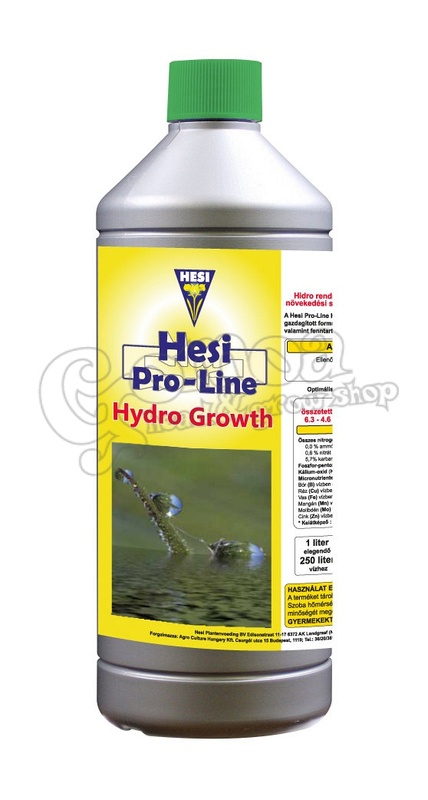 Hesi Pro-line Hydro Growth is enriched with plant-active elements that increase the plant’s energy and maintain healthy flora in the soil. Measure pH level, if necessary add Hesi pH- of pH+ to correct. NPK - fertiliser solution 6.4 / 4.6 / 5.4 with micronutrients.